Our School Council meet regularly. One girl and one boy from each KS1 class represent their own class on the School Council. The children are elected to the School Council by their classmates. They take issues and ideas from their own classes and bring them to the School Council for discussion. They also share ideas and decisions from School Council with their class. 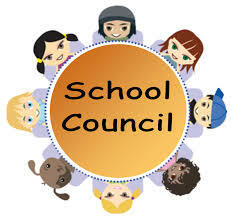 Decisions made within School Council can, and do, have a real impact on the rest of the school. Today the School Council Representatives discussed recycling, and in particular the Big Battery Hunt that our school is taking part in. The children need to keep a tally of how many batteries we are collecting so we have set up class lists to help us keep count. The School Council are in charge of counting for their own classes. At our next meeting we will be checking on totals and organising for our batteries to be collected if we have enough. Following the road safety assembly that the School Council Representatives successfully presented to the rest of the school last term, the children wanted to talk about ways to keep us all thinking about safeguarding ourselves near the roads. School Council thought about and shared ideas for activities and competitions within school that would help to raise everybody’s awareness of what we must do to keep safe. Possibilities include creating posters and designing badges. At our next meeting, the School Council will bring ideas for the most important messages that we need to share with the school. The School Council met today to practise their assembly for our safeguarding topic of road safety. The children read through the presentation that was chosen at our last meeting and practised using the laptop and projector in the hall. They also decided that we needed extra slides for the presentation to get the most important points across, so we worked together to add them. The School Council met today to discuss our current safeguarding topic of road safety. The children are planning to present an assembly to the rest of the school. Today they looked through some useful material and decided which roles they would each take for the assembly in three weeks’ time. The School Council met today for a special one-off meeting to find out about the World Wildlife Foundation’s work to protect tigers. Together, the children shared ideas about why it is important to protect tigers and these ideas will be collated and entered into the WWF schools’ competition to win a wildlife camera. The new School Council representatives have met for the first time and introduced themselves. We talked about some of the different duties of their new role, such as listening to ideas from their classmates to bring to future meetings. We are looking forward to starting work on our first project, which we will be finding out about in our next meeting. Previous years School Council pages see below.